Yes, visitors can subscribe to any comment without actually commenting. First, please make sure you have enabled the Comment Form Subscribers Options Template. 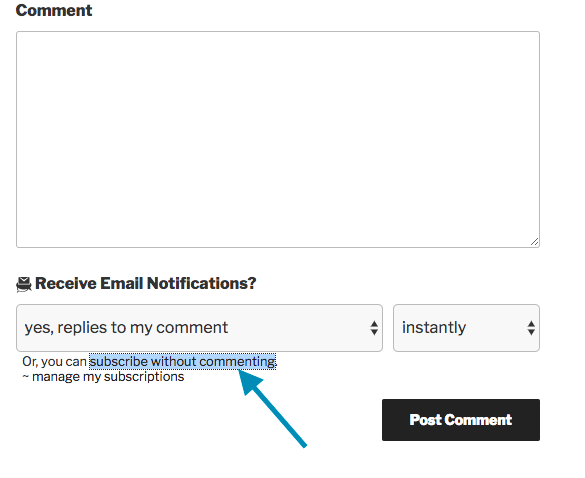 Please see WordPress Dashboard → Comment Mail → Config Options → Comment Form → Enable Comment Form Subscr. Options Template? On the front end, when clicking Reply, the link to 'Subscribe without Commenting' will be available for all visitors, whether logged in or not.